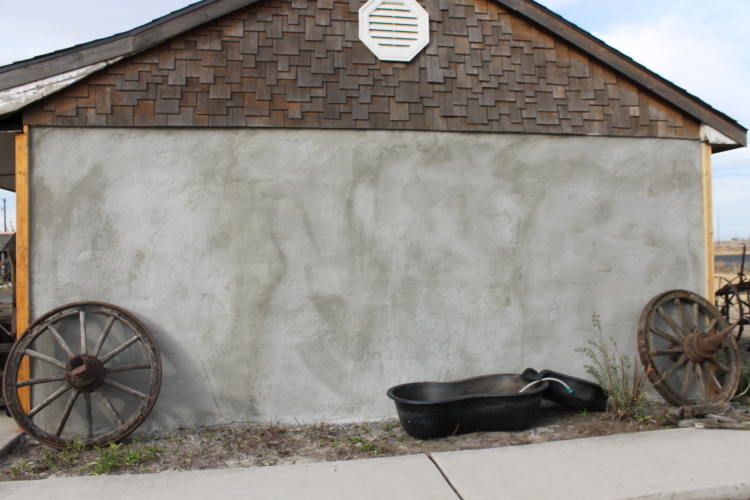 When we put log & metal siding on the building the ends of the building were done in stucco. I had a friend of mine Maudie Klines paint murals on the stucco . The picture below shows what she had to start with. These are the finished product.